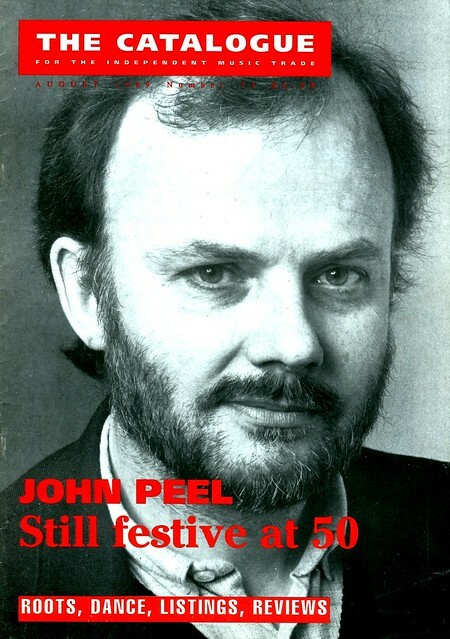 We are going back to 1989 and on the 30th of August that year John Peel turned 50 years old. It was planned that the Undertones would reform (with Feargal Sharkey back on vocals again) but sadly had to pull out due to one of the members having a family bereavement. The House Of Love stepped in instead. The entire thing took place on the 29th and then broadcast on Peel’s show the next night. Click on the image below to view John Peel’s Birthday Supppliment as published in The Catalogue. After you’ve clicked scroll to the left for all the pages in the article. “Radio 1 will launch a pop-up sister station later this year as part of its 50th birthday celebrations. Radio 1 Vintage will broadcast on DAB and iPlayer for three days from 30 September. Tony Blackburn, who was the first voice ever heard on the station, will team up with current breakfast show host Nick Grimshaw to launch the project.